According toDigiTimes, Nokia are resuming development with their Windows RT tablet, which should be released sometime in February 2013. 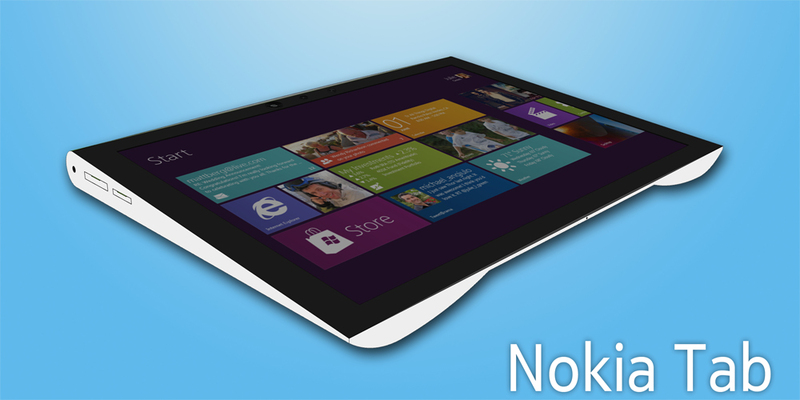 We suspect that if this rumor is true, Nokia will launch the tablet running Windows RT at the Mobile World Congress. The source claims that Nokia were readying up their tablet to come out when Windows 8 was unveiled, but Microsoft once again stumped them by bringing out their Surface RT version. After that, Nokia decided to work on their Windows 8 phones, and then pursue the tablet idea. Nokia are working with Microsoft, Qualcomm and Compal Electronics to deliver this tablet. We suspect that Qualcomm’s Snapdragon S4 Pro chip will be inside the Nokia tablet, as it is on most high-end mobile devices. The tablet will have a ten-inch screen and possibly feature some of the Lumia 920 design, with a range of vibrant colors and almost excessive rubbery surface materials. We are unsure what to expect in terms of holders, keyboards and other add-ons. While the rumor may not be true, there have been some Nokia execs come out and say they are working on tablets for Windows 8. There is no date in sight, but Nokia did say that their tablet line was almost ready, in mid-June last year. We suspect that after halting progress and working on their phone line, then seeing Windows RT and the Surface receive mixed reviews, they looked at other options and features they could put on their RT version. All signs point towards Mobile World Congress or Nokia’s own launch party sometime in February, though we bet against the latter considering the amount of tablets they have ordered. If the number was two million and there was a huge market push, then maybe we would see Nokia unveil this at a Nokia event.